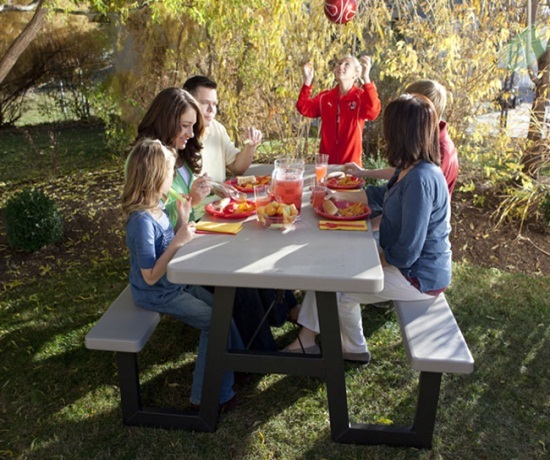 What Are The Differences Between Lifetime's 8 Different Picnic Table Models? It might be difficult to determine the differences between Lifetime's 8 different picnic table models. Once you know the differences how do you determine which one is most suitable for you? 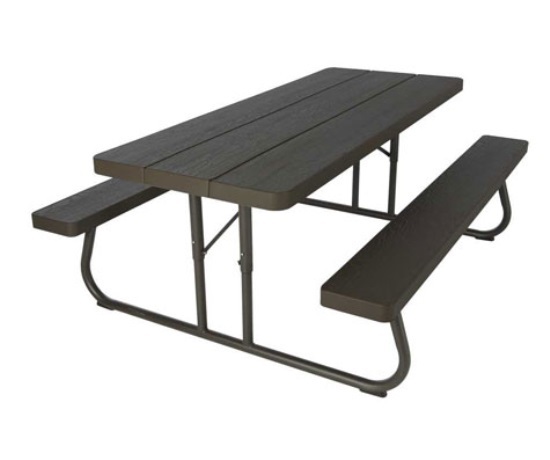 Here are some guidelines we suggest when choosing a Lifetime brand picnic table. Where do you plan on using the table? 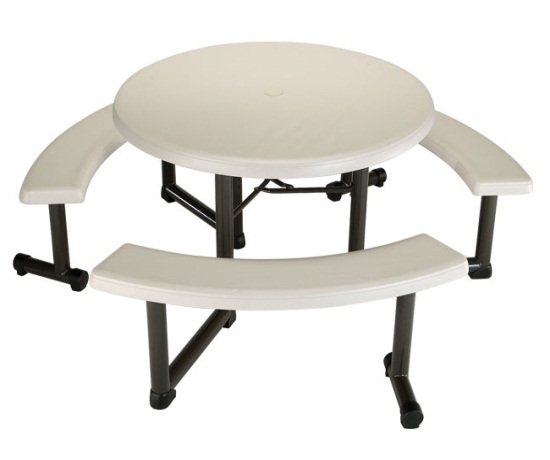 Some customers plan to use the picnic table inch their break room or inch a lunch cafeteria. 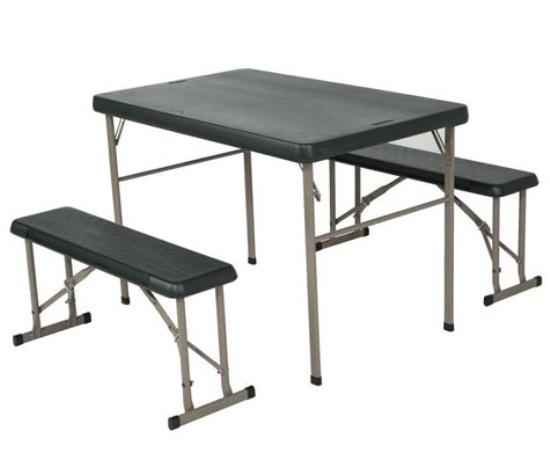 In those situations you might consider the oversized eight-foot picnic table model 80123. This can seat eight people very comfortably. Rather than having many of the 6 foot tables you can utilize your space better by getting less tables that are eight-foot long. 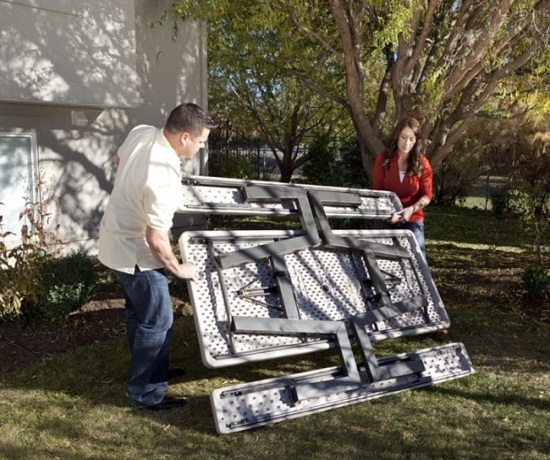 Do you plan on having a table inch your backyard? In that case we would suggest the following two most popular models which include 2123 and2119. These have been the backyard favorites for the last 10 years. They are 6 feet long so to adults can easily move them if you decide to store them. They fold up flat so they can fit inch your garage during the winter or on the side of the house if you are tight on space. They seat six comfortably. Are you a business with a restaurant or cafe? Model 2127 Model 2127 is the most popular for your situation. 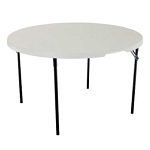 These are round tables that are beautiful and seem to fit the decor of many restaurants and cafe's both indoor and outdoor. Sure, they work in backyards as well. One reason they are very popular for businesses is because they are round and can accommodate many wheelchairs. The fact that they are round means that everybody faces each other. That can be a huge plus in creating an atmosphere of conversation where nobody is left out at the end of the table. Did I mention they include umbrella holes? Don't plan on using an umbrella hole? No worries. It also comes with a cap to cover it up. Are you a camper or spend time in the great outdoors? Perhaps you are a camper and you are looking to use the picnic table both at home, packed away in the RV sometimes, and at campgrounds. In that case model 80188 is a favorite. It folds up flat, the benches are detachable, and it is green to fit the decor. The fact that the benches are not attached to the table means you can move them to sit close to the fire, enjoyed the sidelines of a soccer game, or bring it inside when you need extra seating for your family gathering. Perfect for packing up for your next National Park road trip. 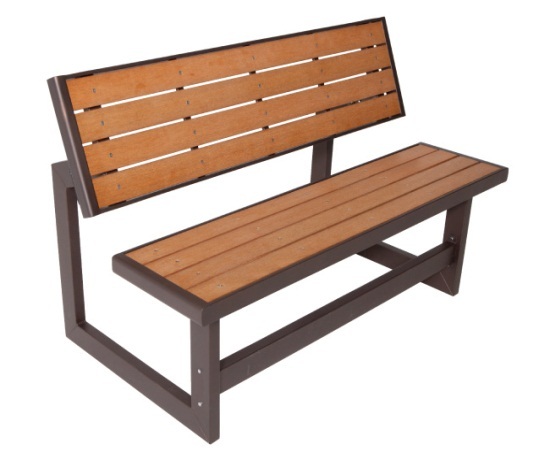 Are you a business or a home seeking for a picnic table that converts into a park bench? 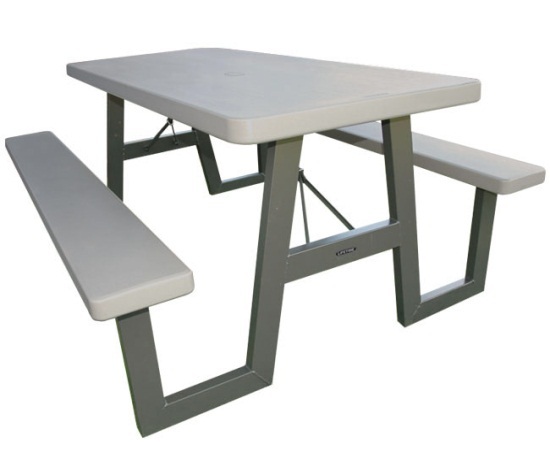 The newest picnic table model manufactured by Lifetime products is number 60105. Due to customers demanding a table that looks like wood yet holds up like plastic, this newer model was designed. It simulates wood with the wood-grain texture, but donât be fooled. It does not weigh 200 pounds like many solid wood picnic tables. It also lasts longer and does not require that you stain it, sand it, or pull splinters out of your finger when you have sat down carelessly. It weighs closer to 100 pounds and folds up flat. It has become increasingly popular for hospital indoor and outdoor settings. It too has an umbrella hole. If you are in a warmer climate where the sun will be directly beating down on the table you might consider an umbrella to minimize the heat of the table surface. Model 60030 It doesn't get much attention, but it is the strongest of the picnic tables and my personal favorite. This is Model 60030. If you notice the frame (called the A-frame) you can see there is much more steel involved in the structural design means that it could outlast all the other models. It doesn't get as much attention possibly because of the price tag, but if you ask me it is worth the cost. Though it is 6 feet long it weighs about as much as the regular table that is 8 feet long. I highly recommend this if you want to table that might last you a good 10 years or so with proper care. Thanks for this post! Really picnic table is a most important item of summer and this best object for increase beauty of our outdoor. Who knew that a seemingly basic picnic bench could vary so much? I certainly did not, but I do now. While I can't say for sure that this knowledge will ever come in handy to me personally, I think any knowledge is worth having!